I’ve been waiting to test Ethanol Free Gasoline (E0) for eons, but I could never find a local service station that carries it. Blame it on the lawmakers. As it turns out, New Jersey state law stipulates that all of the gas sold here must contain ten percent ethanol. Thankfully, ethanol-free gas is sold on the other side of the Delaware River, fifty odd miles from home. I took Slambo for a ride today, to fill up with E0 for the first time. I intend to test it over a number of tanks. 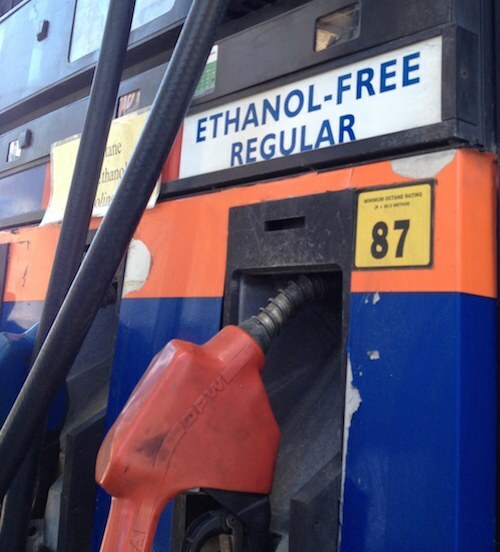 Proponents of ethanol-free gas claim a significant jump in fuel economy. Just how much is the big question. 100 percent ethanol has 30 percent less energy density than conventional gasoline. Most of the gasoline sold in America has ten percent ethanol and is commonly referred to as E10. Simple math tells us that E10 has three percent less energy density than conventional gasoline. This should result in a three percent jump in fuel economy when using ethanol-free gasoline, rather than E10. Although some folks boldly claim a 3-5 MPG jump, the math suggests otherwise. UPDATE: I ran two tanks of Ethanol Free (E0) gasoline. The results were positive, but the added cost of the fuel negated the jump in miles per gallon. The first tank of E0 produced 42.83 MPG. The second tank produced a very consistent 42.38 MPG. By comparison, the previous two tanks produced 40.81 MPG and 39.68 MPG. This represents a 5.84% improvement. It’s important to note that temperatures were rising over the testing period and that there are always variations with real world testing. The next two tanks (back on E10) produced 41.28 MPG and 44.61 MPG. I will run additional E0 tests as the weather continues to warm up and as time permits. Note: The government will not allow us to buy pure 100 percent ethanol, because it is essentially moonshine. All hell would break loose if service stations sold drinkable 200 proof hooch for two dollars a gallon. 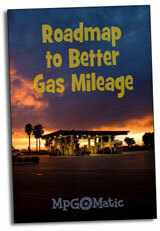 Ain’t Fuelin’ Update: How Can I Increase My Gas Mileage? Very interesting thoughts here. It’s pretty clear we need to find a new solution for newer cars that is more efficient than E10 but perhaps E0 isn’t the right way to go.